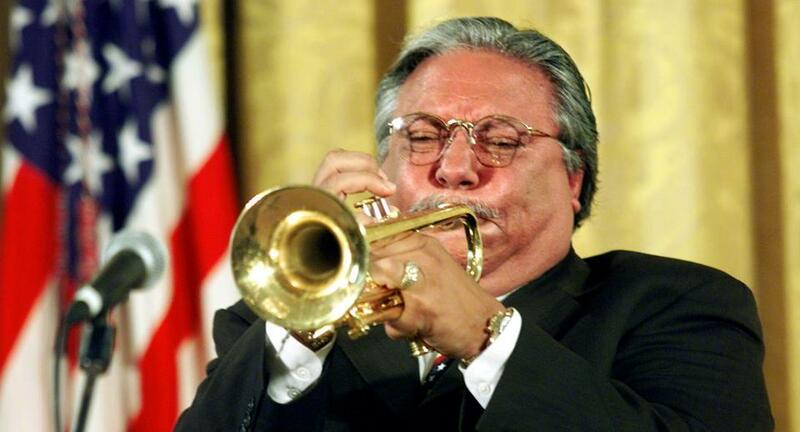 Cuban-born trumpeter Arturo Sandoval hits the final high note of "America The Beautiful" while playing at the White House in 2001. Trumpeter Arturo Sandoval was playing at Scullers Jazz Club when it was announced that former Cuban leader Fidel Castro had died. Once off stage, the celebrated musician, who was born in Cuba but defected to US in 1990 (and became a naturalized citizen in 1999), shared his antipathy for Castro via social media: “The dictator of Cuba has died!!!!!FINALY!!! !” he wrote on Facebook. “I’m happy that they’ll cremate him, at least his bones will not contaminate the ground. I thought that when this day arrived I would be jumping on one feet for hours, but unfortunately what I’m thinking now is about so many people that lost their lives because of him.” Sandoval’s rags-to-riches backstory was the subject of the 2000 TV movie “For Love or Country: The Arturo Sandoval Story,” which starred Andy García as the trumpeter.